Development of a new integrated transport hub at Great Victoria Street to replace existing bus and train stations on this site. The project proposes the development of a new integrated transport hub at Great Victoria Street to replace the existing bus and train stations that are currently co-located on this site. In addition to meeting these transport needs, it is proposed that the area of the site not required for transport will be utilised for commercial development, thus regenerating this area of the city. Given the overall scale of the project, it is likely that both public sector funding and private sector finance will have a role to play in delivering the overall vision. To deliver a fully integrated mainline train and inter-urban bus/ coach facility and city centre bus terminus, together with associated requirements for bus parking & fuelling/washing/servicing, administration facilities and amenities for users of other transport modes (taxis, cyclists, private car users, pedestrians). To deliver a new landmark public amenity that is fit for purpose, constructed to quality standards and harmonious with adjacent city centre development. To create a long term sustainable facility designed to cater for future growth in passenger numbers and accommodating the needs of other private sector operations. To facilitate the simultaneous release of development land, to ensure that such development maximises the potential of the transport hub itself (synergistic development) and which, subject to all necessary approvals, maximises as far as possible the return on public investment and the long term sustainability of public transport in Northern Ireland. 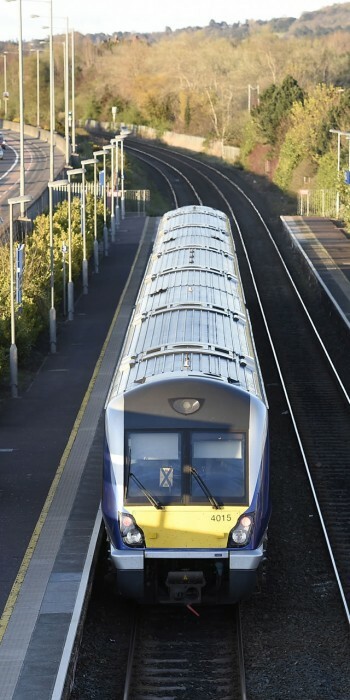 To facilitate the wider rationalisation of NITHC/Translink’s operational and administrative properties in the greater Belfast area, with a view to identifying opportunities to increase efficiency and competitiveness, reduce the cost base and realise any assets rationalised through the design development process. March 2015: Pre Procurement. Preparation of Outline Business Case is underway. SIB is currently providing strategic and commercial advice to Translink. Expertise will be provided with regards to the development of a funding strategy, leveraging private sector involvement and potential use of Financial Transactions Capital. SIB currently has representation on the Programme Steering Group and the Programme Board for Belfast Transport Hub.